Having lived in the North East of England for almost 2 years after moving to the UK from Dubai, I did try to explore as much of the area as I could. However, being a new mommy led to a bit of constraints and slightly harsh winter temperatures for the new born made me stick to home most of the time during the colder season. Blackburn could just have been a little more than a 2 hour drive from my home in Durham, but probably now was the right time to visit this town in the North Western side of England in Lancashire. 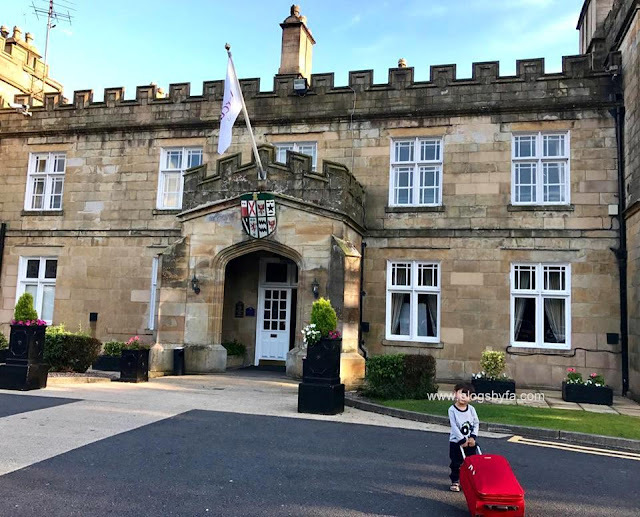 Back from the Lake District, my family and I decided to stop over in Blackburn and were lucky enough to stay for a night at the Mercure Blackburn Dunkenhalgh Hotel & Spa. I did have a little idea about the location of the hotel but the building totally stunned me. On reaching, it felt as if I was entering a private estate or perhaps it would be better to use the word 'castle' in this case. This luxury hotel in Blackburn had ample parking, complimentary for the hotel guests, which always gives a hotel a plus-point in my books! 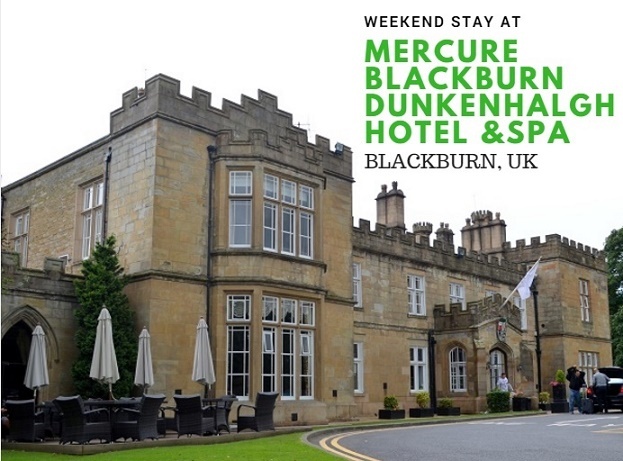 Mercure Dunkenhalgh Hotel and Spa is a 4-star hotel in the Lancashire countryside, a country manor that has perfectly blended the grandeur of a 700 year old building with original features such as turrets and porticos along with modern amenities. 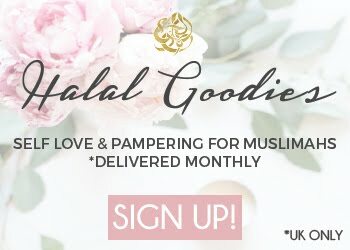 They've got facilities such as wedding suites that can accommodate up to 300 guests and also have meeting facilities that are perfect for around 400 guests. The hotel is GRAND and looked no less than a castle spread across 17 acres of land with lush green grounds surrounding the main construction. How I began praying for such a place for myself to live in, and my hope turned partially true when I was able to stay at the hotel for a night. Since we were traveling, we were all slightly out of steam and just decided to unwind at our hotel room for some time. However, before heading towards the Executive Wing where our room had been booked, I couldn't stop adoring the architecture and the interior of the structure that had so much character that was portrayed nearly everywhere. The dark wood staircase and the stained glass ceiling with a pretty chandelier hanging on the roof caught my eye and although I did try to photograph it, I think I couldn't do much justice as some things are better seen with the naked eye. Our room was really good sized with a coat stand at the entrance, and a trouser press stand and an iron stand with iron in the cupboard as well as all the other facilities I could ask for - including the flat-screen TV, toiletries, shower cap, hair dryer, a glass water bottle with drinking glasses, a kettle and a box of tea/coffee for the guests. BabyN is hardly 3 yet, but he loves exploring every place we go and he especially loves making tea (of course, with our assistance). After unpacking and taking rest for some time, we went downstairs to the Cameo restaurant for dinner. The elegantly decorated restaurant had a very inviting environment, and is famous for both Lancashire delicacies as well as international cuisine. Our table had already been booked and I had already decided what I wanted after quickly skimming through the menu card that was placed on the writing desk in our room. We ordered chunky chips for BabyN', and I had a few of them as well but had to stop after 2 to leave room in my stomach for the main I had ordered for myself. I really enjoyed my Fish Pie that was served with vegetables, it was piping hot, had a generous amount of fish in it and was full of flavour. Also tried husband's serving which was more on the sweeter side, but a piece of lemon was served with it in case you wish to make the sweetness less overwhelming. For the desserts, we opted for a vanilla cheesecake that was freshly prepared and was served with a swirl of chocolate sauce and compote. Can't unfortunately recall the exact names and the prices of the dishes as it totally slipped out of my mind to take the picture of the menu card like I always do! You can also opt for a three course meal including starter, main and dessert but the restaurant has a separate menu card that. 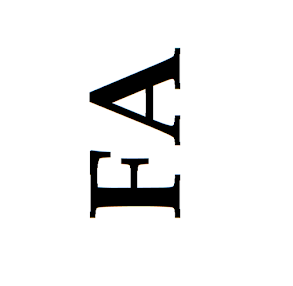 However, that does not include all the options from the main menu card. Breakfast the next morning, again at the Cameo restaurant was great with a perfect variety of hot and cold breakfast items such as scrambled and fried eggs, hash browns, bacon, mushrooms and tomatoes. Moreover, there was separate station for fruits, yogurt, a cereal bar and my favourite station that included all the baked items such as croissants and cup cakes. There was also a good variety of juices and tea/coffee was served at the table. Immediately after the breakfast, we left for the spa and BabyN' was really excited about going to the pool. 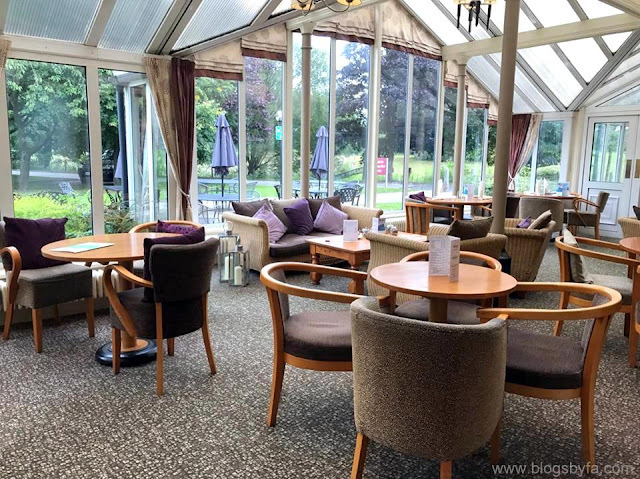 The fitness center at the Mercure Blackburn Dunkenhalgh Hotel and Spa was amazing - with a large space for guests to sit and relax while they sip tea onlooking the glorious grounds as well as their fitness and leisure centers. The pool and the Jacuzzi had the same water temperature because they didn't have any partition so unlike the ones that are separate, the water wasn't very warm but the best part after a swim was to find a swim wear dryer in the changing room. Generally, I haven't seen it in most of the hotels or even at other leisure centers but it was great to get all the clothes dried within seconds. After the checkout, we explored a bit of the hotel grounds and their courtyard that had a lovely water fountain and blooms. It was really peaceful spending a few minutes there before finally saying good-bye to the hotel as BabyN' got a chance to run around while husband and I got into a small conversation appreciating the hotel. If you're in Blackburn, you must definitely see the historic Blackburn Cathedral with iconic modern sculpture and just within a minute's walk from there, they've got 'The Mall' where you can go if you want to do some shopping or even if you want to stop there for a coffee or a snack. Moreover, if you would like to travel a bit further, I would recommend you to visit Blackpool to witness the Blackpool Illuminations (Switch On 2017), the annual lights festival founded in 1879 also known as the 'greatest free lights show' that has begun in Blackpool since the 1st of September. It stretches along the Promenade, for around 6 miles, and over 1 million light bulbs have been used for the display. Make sure you see it before it ends on the 5th of November. Meanwhile, you can also check out the video I've made of the Blackpool Illuminations, here. I've made while I myself witnessed the spectacular sights but Blackpool also offers lots of other activities for kids - from rides at the Central Pier, several eateries (lots of Halal options available), sweet and souvenir shops for shopping lovers and even karaoke bars for adults to enjoy. Trams lit with lights are also available for visitors to ride on, and vendors can be seen selling lots of colourful toys and accessories which were selling like hot cakes! This looks like a great place to stay, we love the Mercure chain. 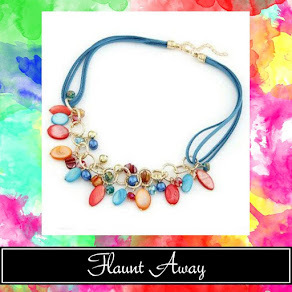 Oh my gosh, it looks oh so regal there! Mecure hotels always seem to be so nice! The hotel looks really impressive and clean too. I love the look of the breakfast selection it looks like a good spread. What a beautiful looking place to stay. It's an area of the UK I havent yet explored but would love to so I'm bookmarking this! The architecture and interior design are so lovely and classy! And love the amenities! What a beautiful place! It looks like a fairy tale castle! Wow what a lovely hotel! I love the decor and tradisjonal classy interior and furnitures. This looks like a true castle, seems like you had quite the experience! It sounds like you were lady of the manor for the time of your stay! What a beautiful place to escape to and the spa sounds great. Love that they have a swimwear dryer too! I don't live to far from Blackburn but it's somewhere I've never been before. I'd definitely want to stay in the Mercure if I do go. The hotel looks gorgeous, I love the little box of tea & coffees. The restaurant sounds really good too. Wow. Sounds amazing. That pool is to die for! So glad you had a nice time. What a gorgeous looking hotel, such a lovely venue and having the leisure centre facilities in the hotel really enhances your stay. What a gorgeous hotel and in a stunning location too! I'm adding it to my list. This hotel and spa looks so inviting I love the grandeur of it and it seems to have so much character. A lovely place to say the least. I’m thinking of visiting friends in Blackburn and am now thinking of booking a room at Mercure Blackburn.